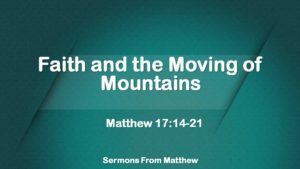 Matthew 17:14-21 Jesus teaches us that faith, as small as a mustard seed, is enough to move the tallest of mountains. The question is, what is your faith in? Let it be in Jesus alone!